Students who graduate from schools that follow the Montessori method of teaching are often more successful than their counterparts in traditional schools, a recent report showed. Some of the leading innovators in the world, such as Google’s Larry Page and Sergey Brin, Amazon’s Jeff Bezos and Wikipedia’s Jimmy Wales, have credited their ability to think differently to their Montessori education. Developed at the end of the 19th century by Italian educator and physician Dr. Maria Montessori, the learning approach gives children the opportunity to grow in a more natural and free way. A recent report provided by Ashoka, a global network for social entrepreneurs, showed that there is a connection between the benefits of this learning method and a successful management approach — especially in the work environments of youth. First, instead of seeing children as empty vessels that need to be filled, Montessori gives space to children’s natural desire and ability to learn. In this way, a child’s innate hunger for knowledge and development naturally leads to inner discipline and concentration. On the opposite side with traditional organizational structures and roles, there is a deep belief that new employees need to be given orders and disciplined. Authors like Daniel Pink support the Montessori Method with research across several companies, showing that, to encourage people to be their best, it is fundamental to tap into their inner drive. 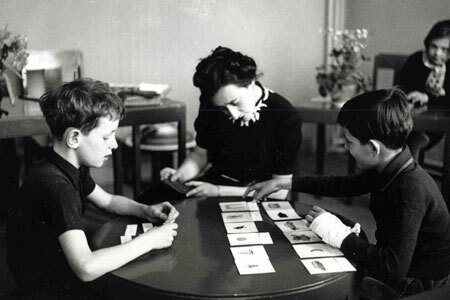 Montessori saw a child’s inherent ability to learn, realizing that all children need an enabling environment. Unlike traditional classrooms, Montessori classrooms enable them to direct their own learning. This is what gives them the freedom to choose activities based on their inner needs and work at their own pace. In 2014, organizational development leader Frederic Laloux examined self-management structures in line with Montessori’s principles. He found that FAVI, a French gearbox manufacturing company, replaced a command structure with another one built on trusting employees’ inner drive to lead and contribute. The result? FAVI is the only gearbox producer left standing in Europe with a 50 percent market share thanks to its quality and on-time delivery. In Montessori schools, teachers don’t sit behind desks. Children are at the center, free to choose and act. Teachers must remain constantly alert to the direction each child is heading and remove obstacles to growth. Facilitating children's development, instead of instructing, gives them the opportunity to learn in a more natural way and so allows them to comprehend better. Bill Joiner and Stephen Josephs, authors of Leadership Agility, said that, in an environment like the office, which nowadays demands greater collaborative problem-solving abilities, young employees need leaders who can facilitate participation by acting as catalysts and co-creators. “The day I stopped seeing myself as a leader and more as a facilitator, my work started to expand,” Dr. Suresh Kumar, the founder of the Institute of Palliative Medicine in India, said. Kumar encouraged his institute's members to lead while he positioned himself as only a supporter of the team. Today, his units across Kerala, Tamil Nadu, Sri Lanka and Thailand collectively serve over 65,000 patients a year. These parallels prove that an education according to the Montessori principles gives pupils an opportunity to overcome learning dissatisfaction and grow effectively in a more natural and comfortable way. Growing up with these principles and implementing them both in class and in the workplace give students and employees alike the ability to overcome the challenges posed by today’s fast-changing professional environment. Apr 30 Is the love of pets replacing millennials’ desire to have children?